bichonpawz: Greenies for the Win this Month! Greenies for the Win this Month! We are reviewing Greenies for our #ChewyInfluencer review this month. Chloe, Romey, and Juliet just love them and they are one of their most favorite treats! Made with all-natural ingredients, these uniquely-shaped snacks are designed to control and remove plaque that can cause disease and remove dreaded dog breath. Recommended by veterinarians to help prevent gum disease, freshen breath, and reduce the need for professional dental cleanings. Greenies are fortified with added vitamins and minerals to deliver complete and balanced nutrition. The Teenie size offers the most appropriate texture and consistency for dogs 5-15 pounds. Proudly Made in the USA and accepted by the Veterinary Oral Health Council to support canine oral health. 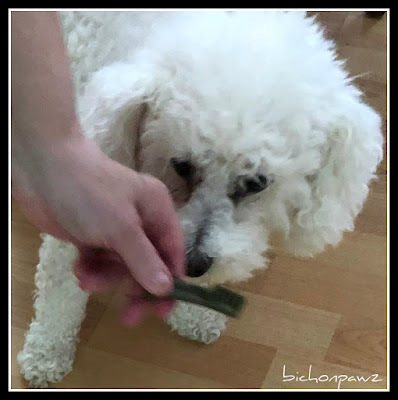 Precautions: As with any edible product, monitor your dog to ensure the treat is adequately chewed! 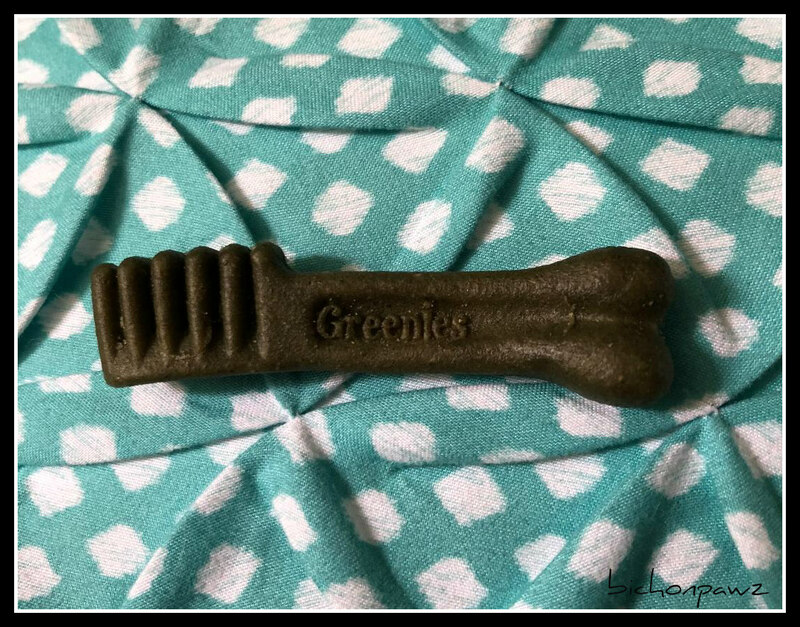 Greenies are available on Chewy.com in many different flavors and sizes! *Disclosure: As an Influencer for Chewy.com, we received a box of Greenies at no charge for our honest review. Mom won't let me have Greenies because she says that I don't chew them sufficiently. I give them now and then too - I worried about their safety but you've explained it pretty well here, seems it's relatively healthy snack. And yes, good for their dental health. You all did a great review. We love Greenies too. I have never had a greenie but I have purchased them for furiends and I hear they are yummers. WEll done on your review. I bet those were very yummy! 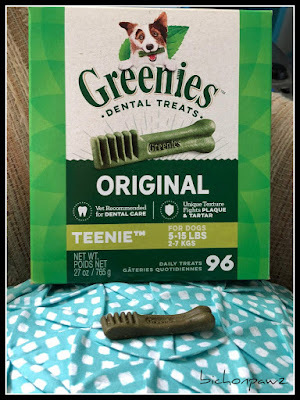 We are VERY big fans of Greenies here! Great review! I think they are like people, Ann...some like the taste and others don't! They do have quite a few new flavors now though! Thank you! 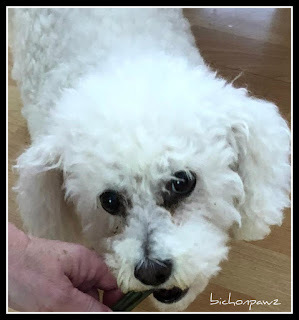 Greenies are a great treat! We understand! It is very important that the entire Greenie get chewed up REALLY good!! Every dog loves Greenies! 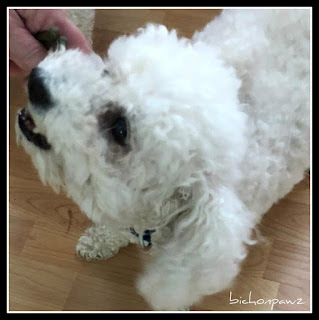 They are some of Toby's favorite treats.